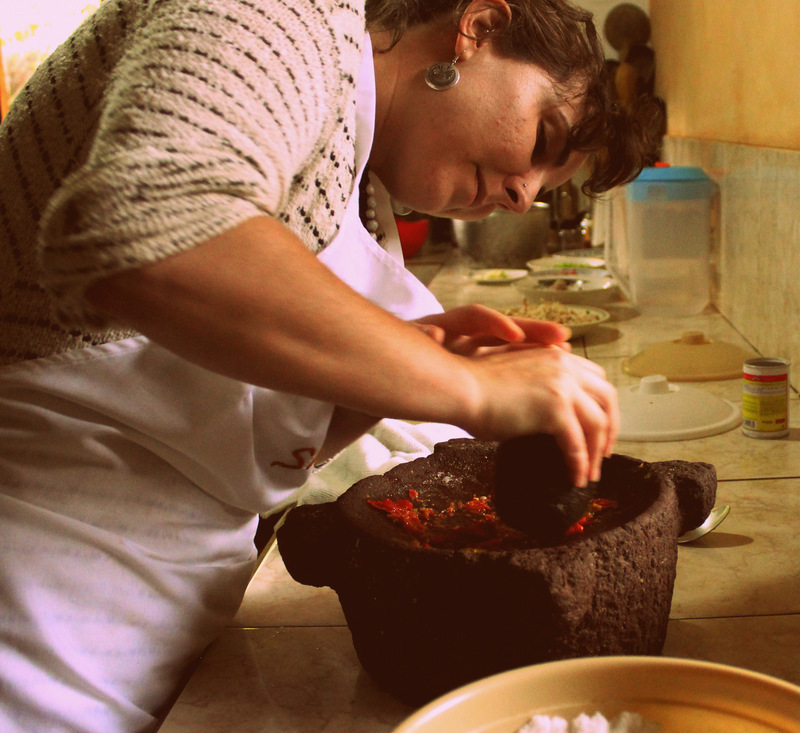 I took my staff to do a great team-building exercise a little while back where Tamia, one of our artisans (read more about her cool story here), taught us how to make some traditional Kichwa recipes. They were a bit time-consuming, but overall pretty straight forward. So much so, that I was able to recreate the flavor experience for my family the last time I was home in the States, so i’m pretty sure that anyone with basic cooking skills should be able to follow these recipes. Shoot me an email if you have any questions and i’m happy to help. 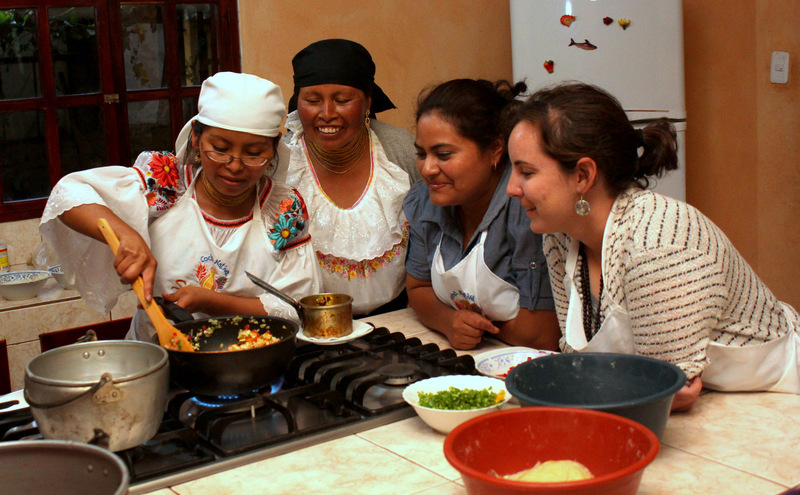 Also, Tamia’s family offers traditional cooking classes to individuals and small groups, so if youre ever in the Otavalo area I would highly recommend it as something not to miss! 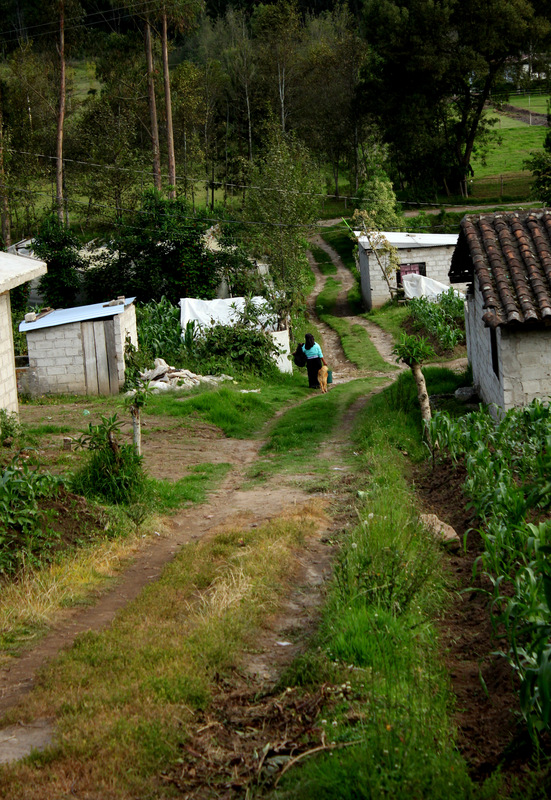 Its a really cool way to be able to spend some time with a Kichwa family in their home and experience their culture. You can get more info about their classes from their website. 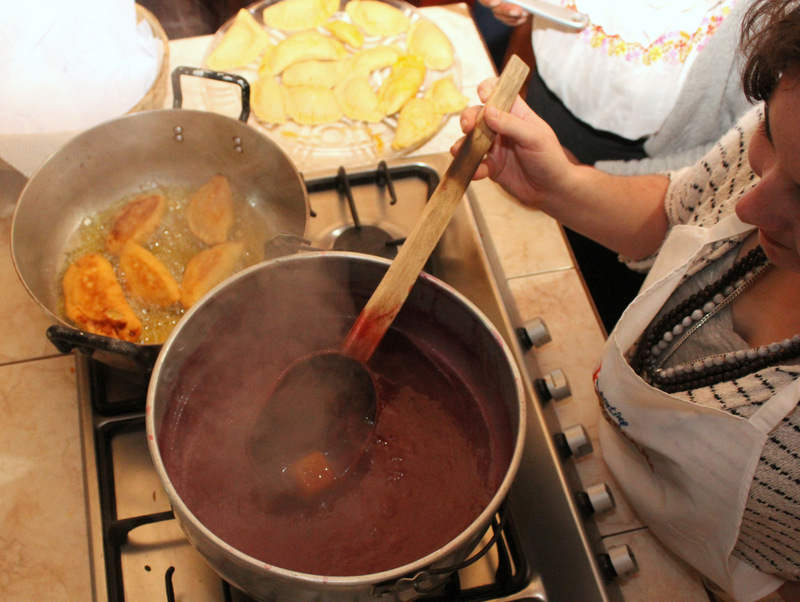 Here’s a few pictures of our dishes and the steps to make two types of empanadas, aji (Ecuadorian hot sauce) and colada morada (a sort of hot, sweet-berry drink). All around, a great merienda (dinner snack)! Lets start off with any easy one. Only three steps! 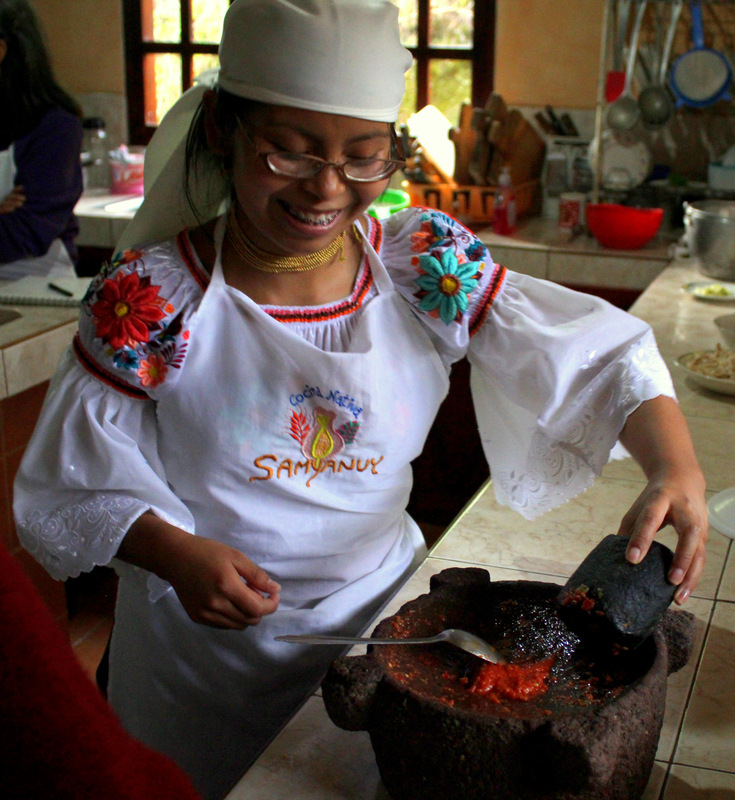 Aji is a staple of every ecuadorian table, right there next to the salt and mayo…..For my Ecua-readers, this is very simple version, it doesnt use the tomate de arbol like you’ll see in a lot of Quito restaurants, but still quite tasty. Also, sorry none of these have very exact measurements – everything was pretty much done ‘a ojo’ (by eye – sort of to taste), but i’ll do my best to guestimate how much we used. Add onion and cilantro to aji mix and add water to reach desired consistency. That’s it! serve with everything! How did that come out? ok, next lets try the very traditional Colada Morada. Coladas are basically any sort of hot drink – they make a lot of different versions, with pumpkin and other fruits, but this is the most ‘tipical’ version you’ll find. Generally, Ecuadorians associate it only with Dia de los Muertos available around November 1, but in Otavalo its made all year around in the Plaza de Ponchos. 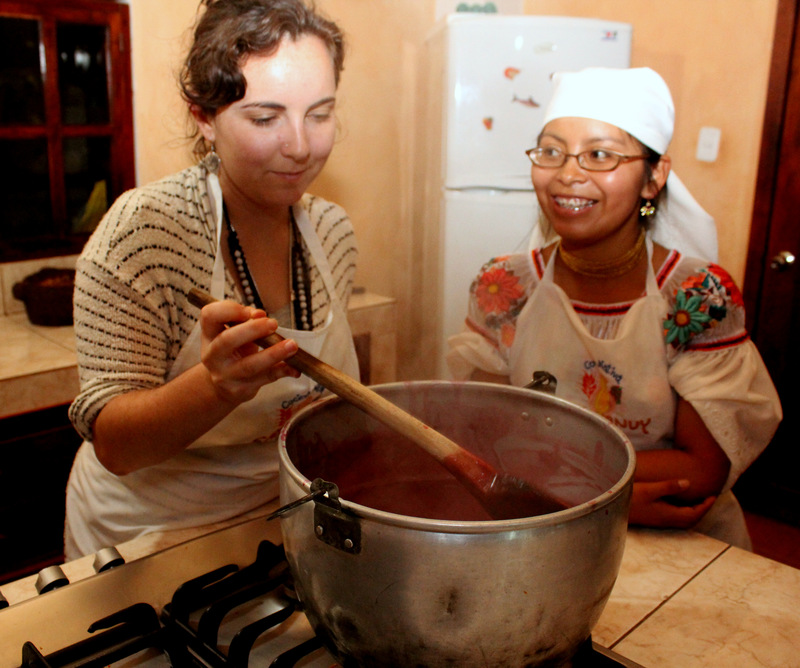 Also, for the Ecua-readers specifically, this is the Tamia’s family Kichwa recipe, which only has moras and mortinos – there are lots of other versions out there which use lots of other fruits and purple corn, but this one is nice a simple. A good place to start if this is your first time! Add berries to hot water, heat until boiling, cook for 5-10 minutes, strain and put aside. Over a low flame, mix flavorings and berries, adding 1-2 cups of corn meal. Sir constantly. 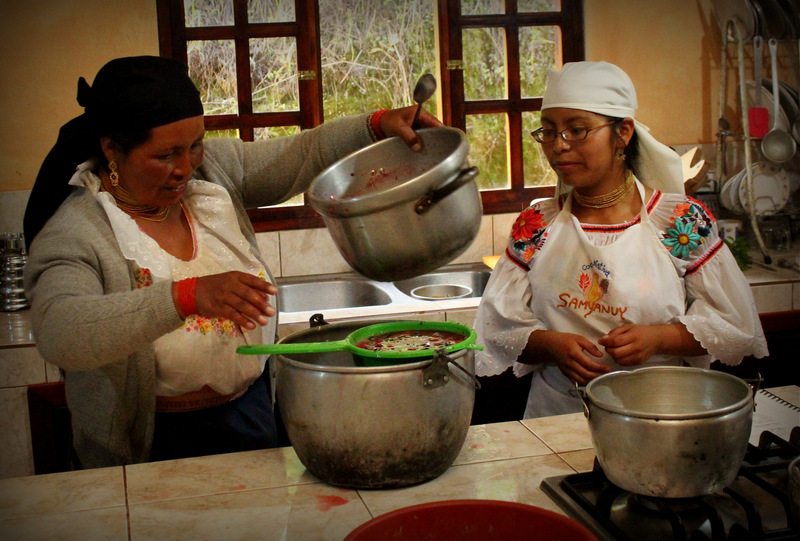 Add panela / brown sugar to taste and dissolve. Boil another minute or two and serve hot. This is a great drink for a cold night! Enjoy! 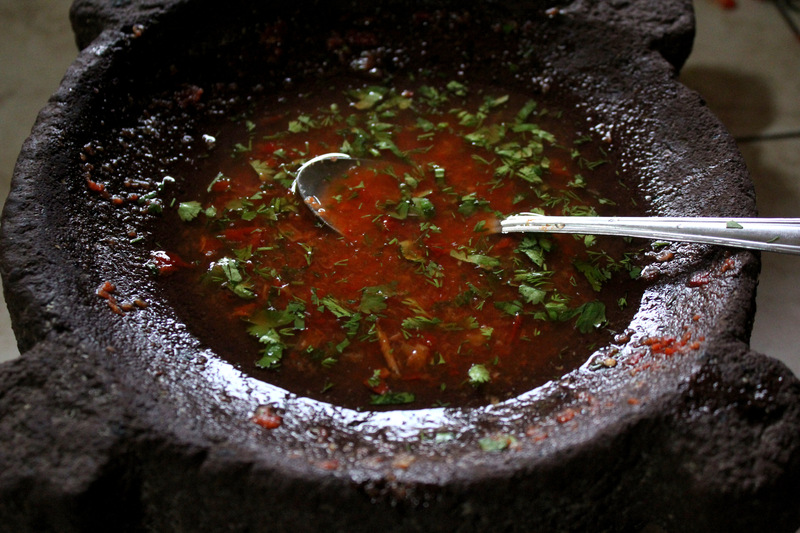 I’ll follow up later this week with the empanda recipes!